This Monograph provides a comprehensive overview of the current knowledge of and advances in lung cancer, covering areas such as: screening; tobacco control; COPD; diagnosis; therapy; and treatment of early stage lung cancer from both a surgeon's and radiation oncologist's perspective. Very recent achievements in innovative fields, such as targeted therapies and immunotherapies, are also discussed. 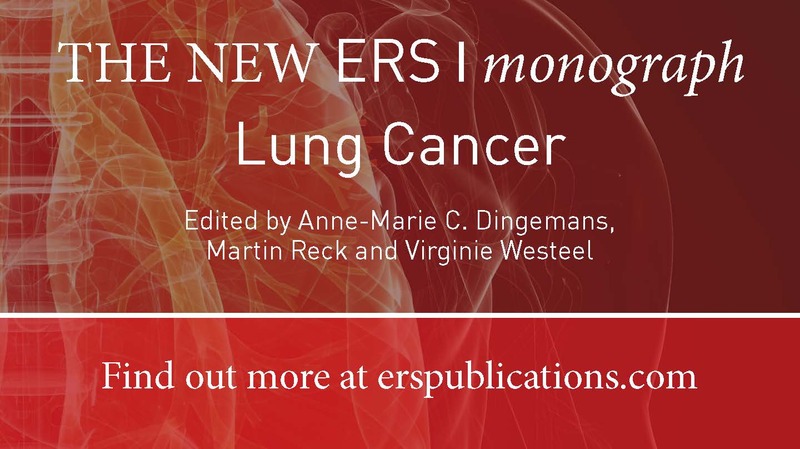 The ERS Monograph is online now at erspublications.com – European Respiratory Society members can access content for free. Print copies can be ordered from ersbookshop.com.